Rep. Adam Schiff, who authored a rebuttal to Devin Nunes's memo about the Trump-Russia investigation, is now the target of conspiracy theories and fake news. 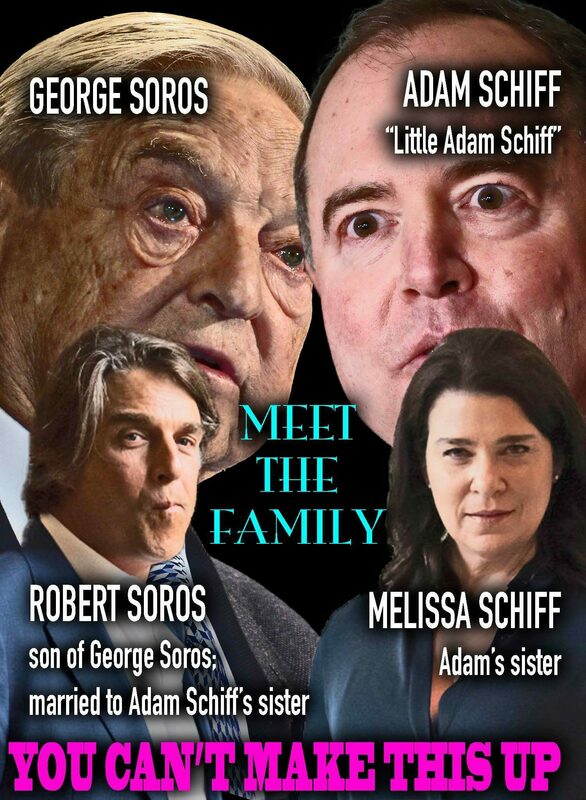 Adam Schiff's sister Melissa was married to George Soros's son, Robert. As a war of words heated up between President Trump and Rep. Adam Schiff (D-Calif.) over the release of a controversial memo attempting to discredit the investigation into Russian meddling in the 2016 election, a rumor popped up on internet forums that Schiff’s sister was married to the son of philanthropist George Soros. Schiff, who is the ranking minority member of the House Intelligence Committee, wrote a rebuttal to Devin Nunes’s memo alleging that the FBI had improperly obtained a warrant to surveil Trump campaign adviser Carter Page. Soon after, users on forums like 4chan, Above Top Secret and Free Republic began posting the rumor that Schiff was related to Soros by marriage. A disingenuous “fact check” from the partisan Tempest Times also lent some unearned credence to this rumor. 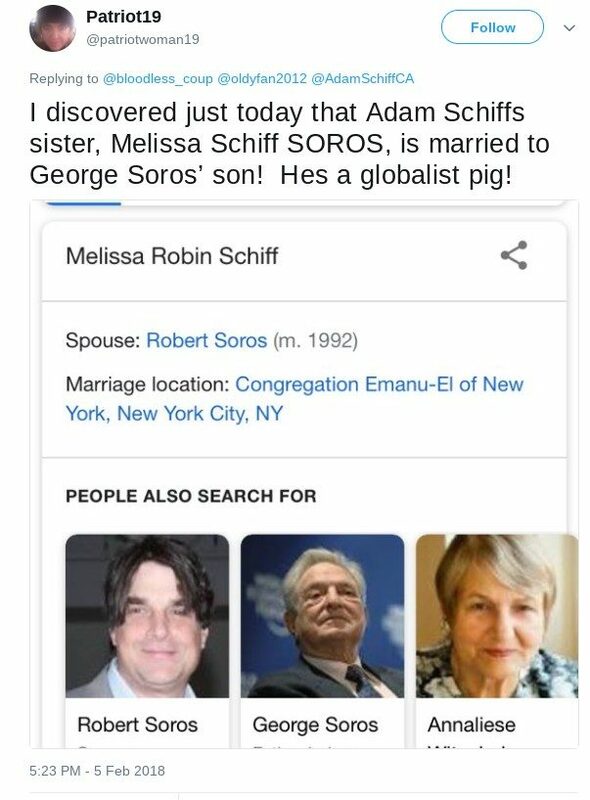 A woman named Melissa Robin Schiff did indeed marry Robert Soros, the son of George Soros, in 1992. However, she is not Congressman Schiff’s sister. The wedding announcement published in the New York Times in 1992 identified Melissa Schiff’s parents as Marlene and Haskel. As of September 2017, the two were in the midst of a messy divorce. Adam Schiff, on the other hand, was born to Sherry and Ed Schiff. The California congressman also has a brother named Daniel. Schiff does not have a sister, his spokesperson confirmed to us by email. His spokesperson also told us that he has no family relationship at all to Melissa Schiff. To some, the name George Soros invokes the idea of a shadowy Illuminati-like group pulling the strings behind a series of conspiracies. In recent years, he’s been falsely accused of paying Black Lives Matter groups to riot, of orchestrating a “false flag” in Charlottesville, and of bankrolling women to falsely accuse former Senate Candidate Roy Moore of sexual assault. To these people, merely being associated with Soros is enough to totally destroy a person’s credibility. So when Representative Adam Schiff (D-Calif.) was thrust into the political limelight in February 2018, it wasn’t too surprising to see the billionaire investor’s name get tossed once again into the rumor mill. This isn’t the first time that this smear-by-association tactic has been used. During the 2016 election, for instance, actor Scott Baio popularized an old (and false) rumor that Chelsea Clinton was married to Soros’s nephew. 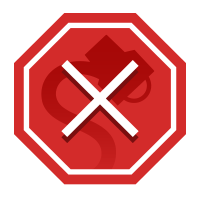 Updated [6 February 2018]: Added a meme example of the rumor.